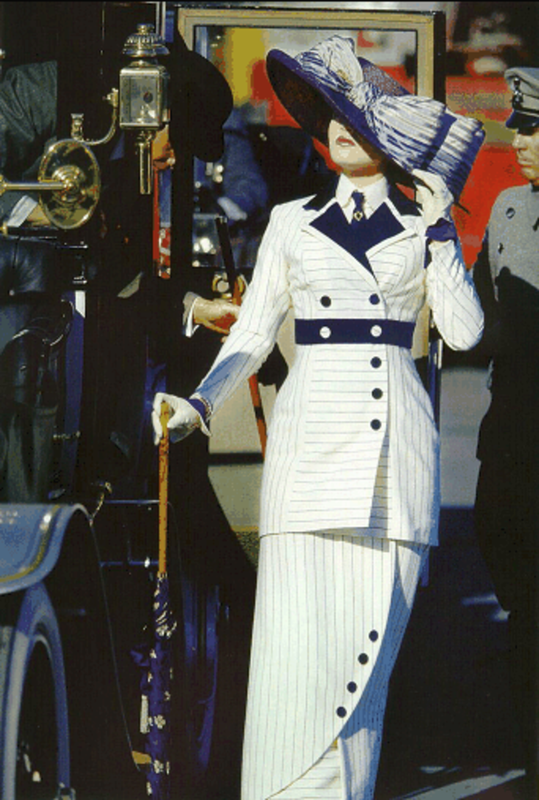 Without a doubt the costumes in Titanic are all lovely. Every single one of young Rose’s costume is beautiful and memorable but which ones stand out above the rest in turns of how memorable they are, how beautiful and how they reflect Rose as character. Costumes were Designed by Deborah L Scott. 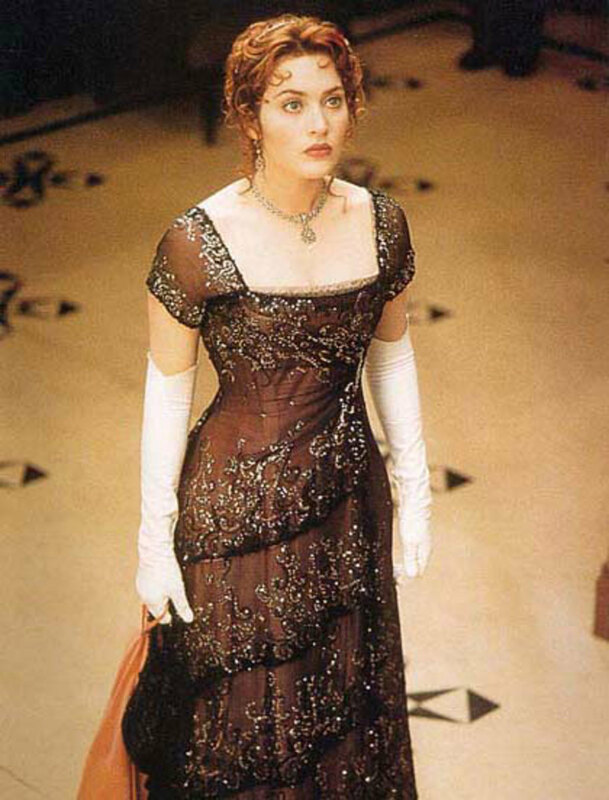 Do you like the Costume in Titanic? he Costumes were designed by Deborah L Scott. She won an Academy Awards for her designs on Titanic. She also designed costumes for Transformers, Avatar, The Amazing Spider-man and Legends of the Fall. For Titanic, Scott did a lot research about the period from historical documents and photographs. She went to museums. She interviewed members of the Titanic Historical Society. She even heavily reached the White Star and other ship companies. 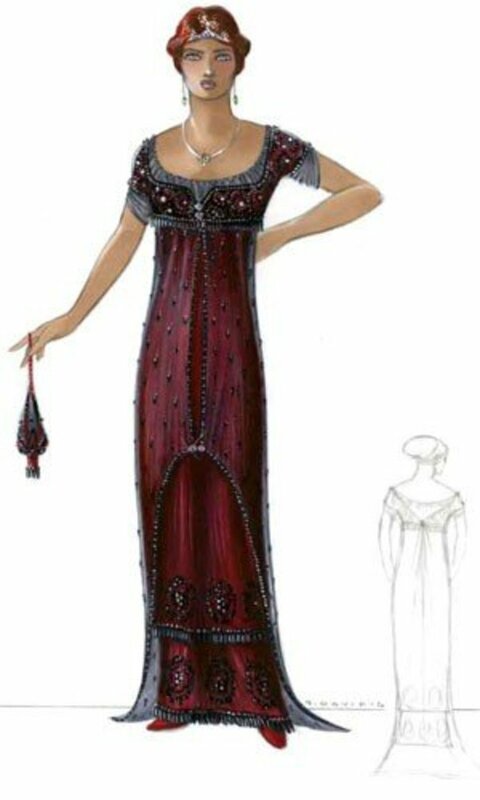 For Rose’s costumes, Scott said in the Titanic movie companion book that since Rose just had a grand tour of Europe her costume all had to be at the height of Edwardian fashion and glamour. Scott said that dressing the third class actors of more fun as the first class costume have so many components. 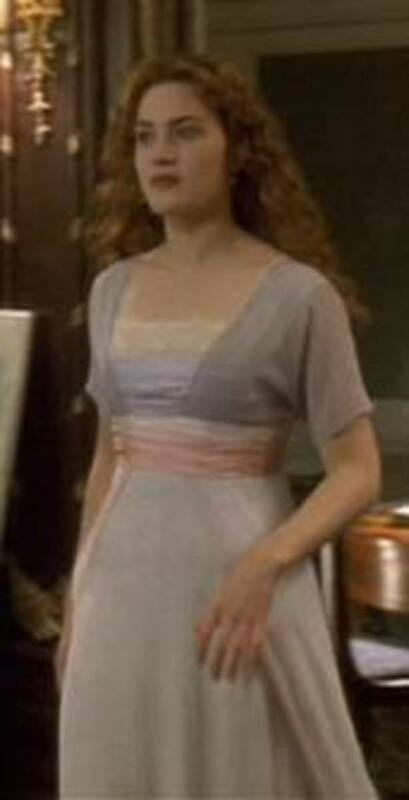 There is no question that Rose wears this dress for the longest period in the movie as she wears for the whole whole of sinking of Titanic. The dress itself is soft, feminine and very ethereal. It’s layers of light lavender chiffon. It has an empire waist and has short sleeves with a touch of lace at the neckline. This type of dress would have probably wore for summer social events. In the movie Rose pretty much throws it after Jack drew her. This dress has a lot of character development in addition to being merely pretty. It showcases Rose liberation from being a society girl to being a liberated woman both psychically and mentally. This psychical liberation is indicated by the fact that she isn’t wearing a corset with this dress. This dress also had another very important mission in addition to showcasing Rose, it had to look good wet, not an easy feat. 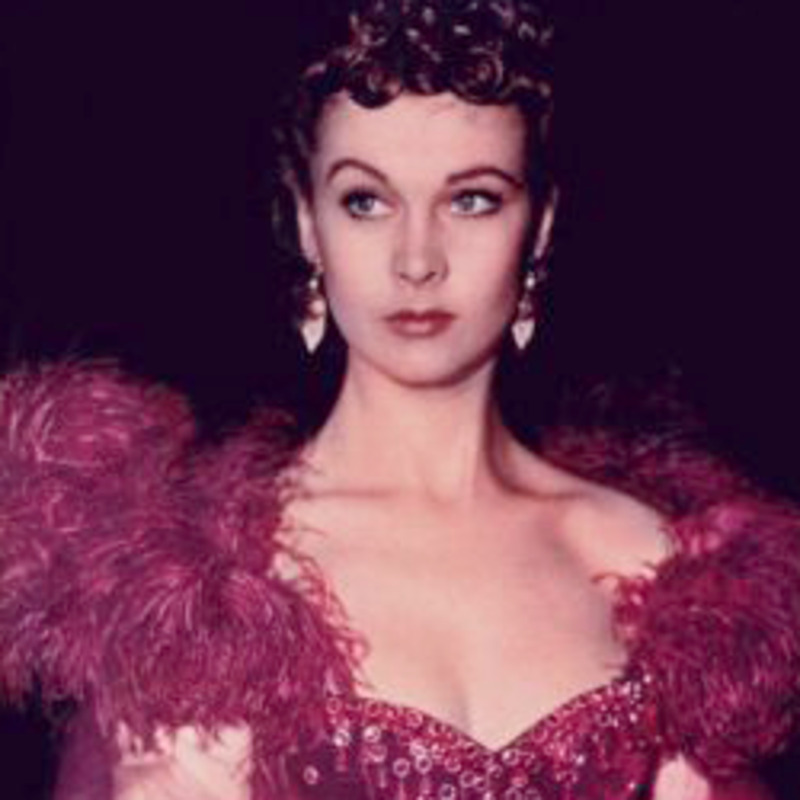 It sort of a shame that this dress was eclipsed by the sinking of Titanic and it was mostly covered by not one but by two coats, her pink one and the one Cal gave her. As well as a blanket and a life belt. So the Swim dress disappears after a while. The first time we see Young Rose is when she steps out a car and looks up at Titanic. Rose is blasé about the grandness of the ship. 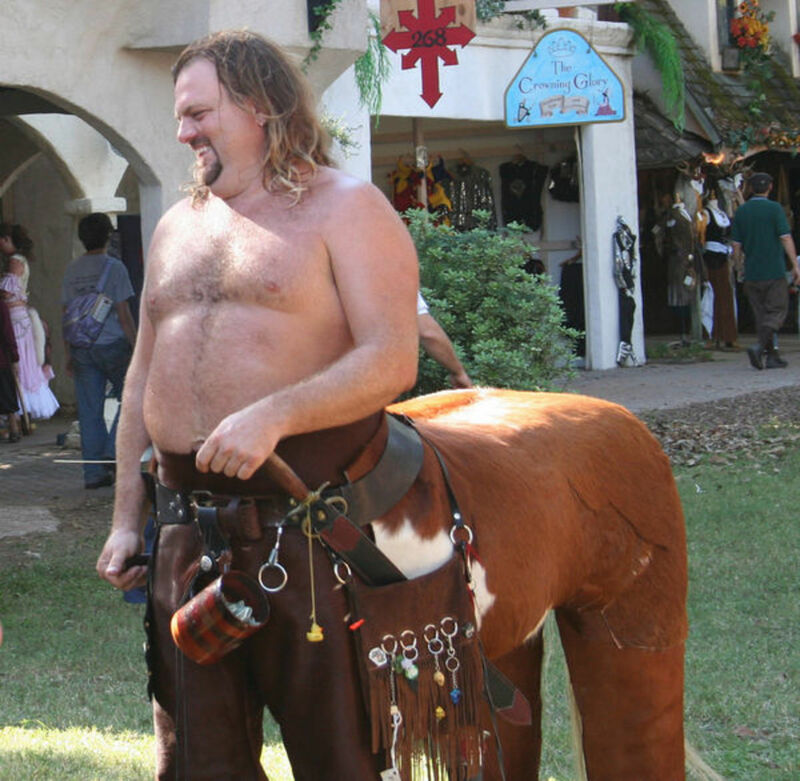 This costume is its entirety is a show-stopper. The wide straw hat is majestic. It a purple hat with a large purple striped ribbon at the front. The suit itself is mostly white with purple velvets accents on the label, at the waist and the cuffs. The strips go in different directions pending on the panel. The Front panel on the jacket has them aligned on the horizontal while the side panels and sleeve has the strips on the vertical angle. The skirt has an a warp like overlay which has the going vertical but if you under the jacket, the skirt has a panel that goes horizontal. There is also a panel that this is under the overlay at the bottom that has the stripes positioned horizontal. There as black fabric buttons on the jacket and skirt with two strips buttons on the waist. The contrasting strips add a lot of visual interest and it is slimming but with the strips and the pops of purple it also speaks to Rose’s bright and almost spirited personality that she must conceal from people in her social class. The whole look very glamorous. Rose this costume during the famous bow kiss scene and in a few scene prior to that. It is affectionally called the Flying Dress as Rose remarker that she is Flying while she is standing on the bow with Jack. The costume consists of a white lace bodice, a satin and velvet jacket and a matching satin satin skirt. On the jacket there are panels which have floral print. The combination of blue satin against the dark blue velvet makes the satin pop. She wear with this costume a green shawl, white gloves, a simple gold necklace, and her iconic green dragonfly hair pin. This costume has a prim yet dreamy quality to it. 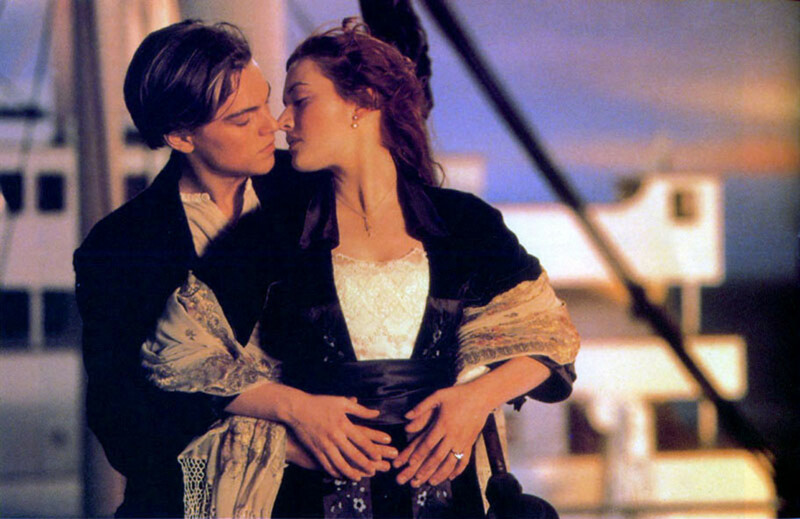 It was the perfect costume for Rose to wear when she choice Jack over her society life and was the ideal costume for the bow kiss scene. As a reward for saving Rose, Jack gets to dine with the first class people. 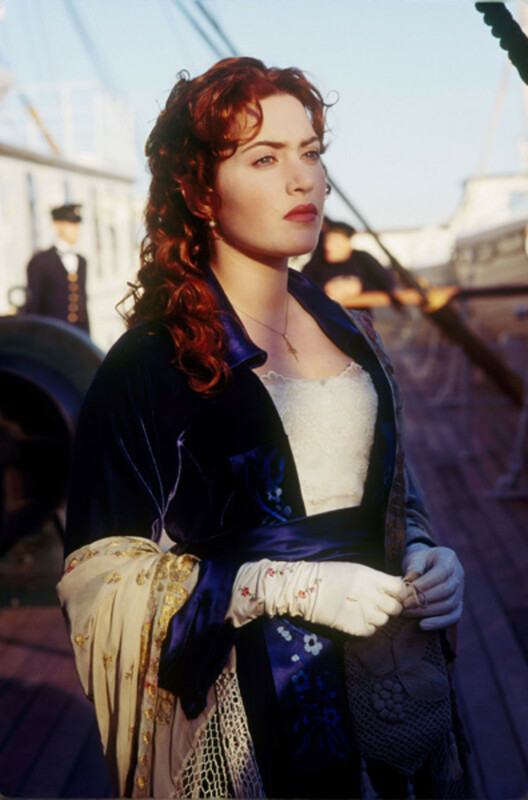 Rose wears through the memorable steerage dance scene. To the dinner Rose wears a gown that is composed on two layers. The bottom layer is a coral satin. The top layer is a black beaded chiffon that is in tiers. The neckline is square and the sleeves are short. The sleeves are made from the black chiffon. 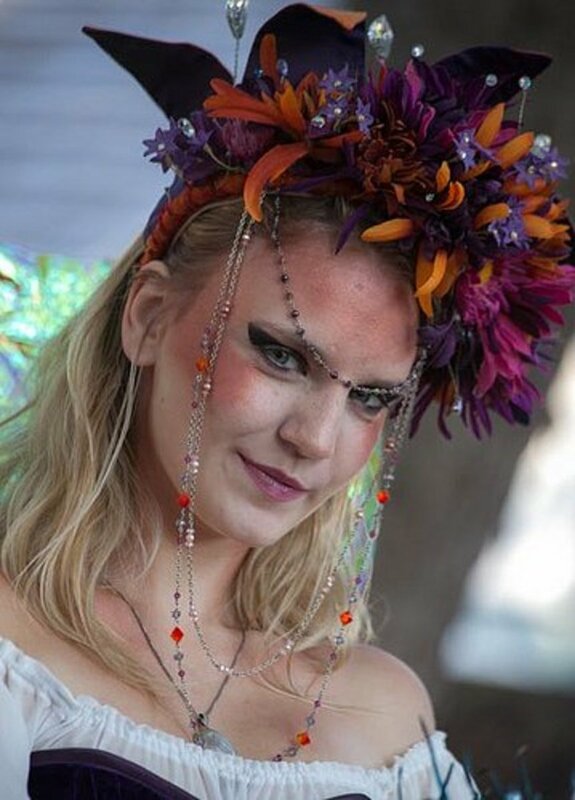 She completes the look with white opera gloves, a gold necklace with a circle pendant with matching earrings and white thread-like hair accessory with crystal beads. With vibrate under layer poking through the black chiffon which conforms to her, we can see that this another costume that showcases Rose’s true free-spirited personality is being hidden by the polite rich girl persona that has been forced on her. However this gown is stunning. It was the basis for Rose’s Heaven dress that she wears a the end of the movie but you only see that costume ever so briefly. This gown is my favorite of her costumes. This is Rose’s most popular costume she throughout the movie and it no wonder has it very gorgeous. Rose first wears this to dinner where she reached the breaking point with her life. She then wears this gown when she attempts to kill herself and is saved by Jack. In a deleted scene she wear this gown when she trashes her room before she climbs over the back of Titanic, which is why her hair is down and necklace and gloves are off. The gown is red. It hard to say what the fabric is but it looks like it could a silk. It has an black chiffon overlay that extends into a train. The gown is heavily beaded on the bodice with dangling bead on the waist and on the the lower part of the skirt in circles. The bead are black silver. The sleeves are short like her dinner gown. There are black gloves and green and silver jewelry wore with it. I think the green earring are so lovely. This dress isn’t Rose concealing her true self but trying to combine it with her rich girl persona which ultimately does not work as she feels trapped in her life. The true can’t work together. It may not work with Rose’s character but it works beautifully in this gown. Which of the Listed Costumes is your favorite? Which of Rose's costumes on the list would you most want to wear? 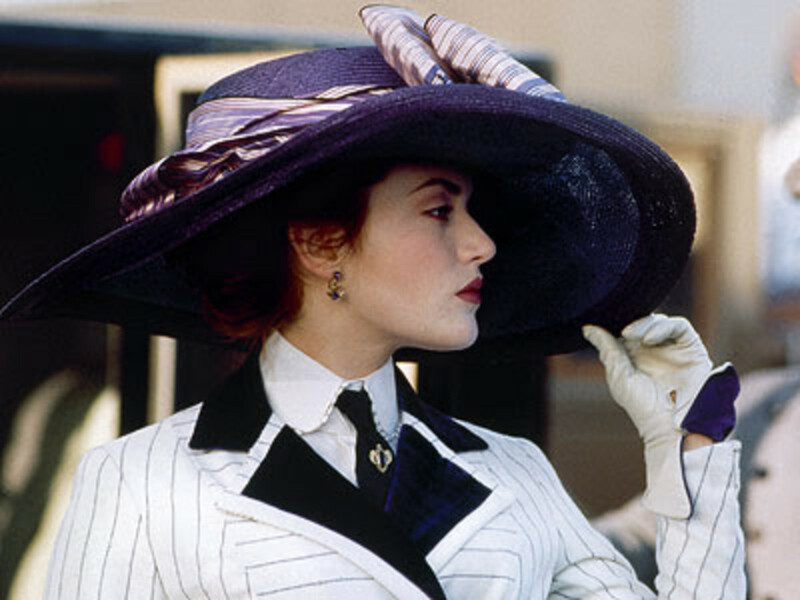 Which costume from Titanic is your most favorite? the dinner dress has always been my favorite!